Click here to download a printer friendly version of our Playtime Policy! 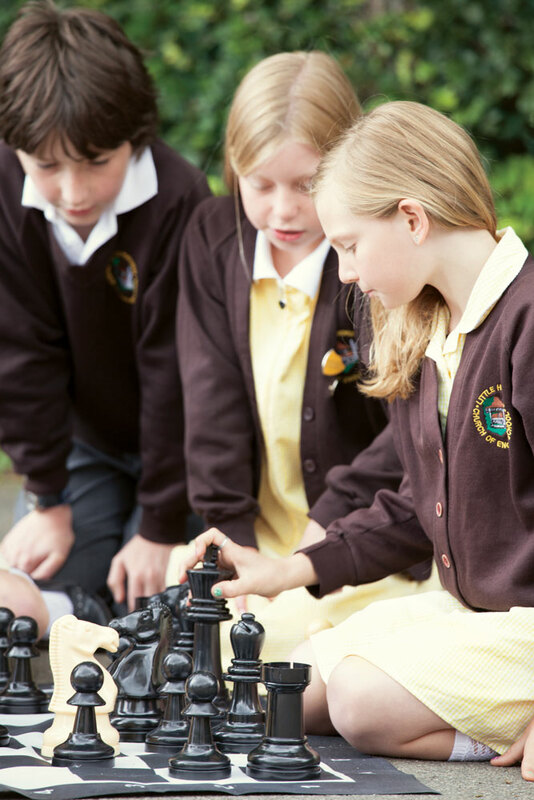 It is recognised that each school has its own identity and will approach the following in differing ways, for differing reasons and from differing starting points. We have simply collated a few thoughts from schools which have submitted playground behaviour policies to us. Overleaf is a sample policy which we hope may provide further assistance. 1. Discussion regarding the need for a policy with regard to children’s play, involving management, teaching staff, governors and lunchtime supervisors. 2. Key member of the teaching staff assigned responsibility for policy and strategies. Ideally this is one of the senior management team. 3. 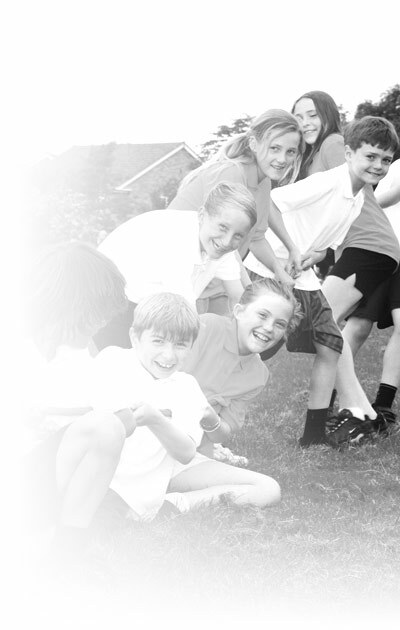 Consider the social and financial benefits to the school from the successful implementation of a robust playtime behaviour policy. 4. Audit of the playground, playtimes, playground equipment etc. Children, staff and parents consulted. 5. PTFA to consider financial support for the project, approximate financial target and means of achieving it. 1. Awareness raising with parents. Request for memories of childhood games to be shared with school. 2. Awareness raising with children, both within the classroom and at assemblies. Children involved with planning areas for play. Children involved with planning common guidelines. 3. Staff meetings to be led by teacher responsible for playtimes to discuss approaches - linked to 2 above. 1. Teacher responsible for playtimes released from teaching duties to lead training for lunchtime supervisors on a regular basis. 2. 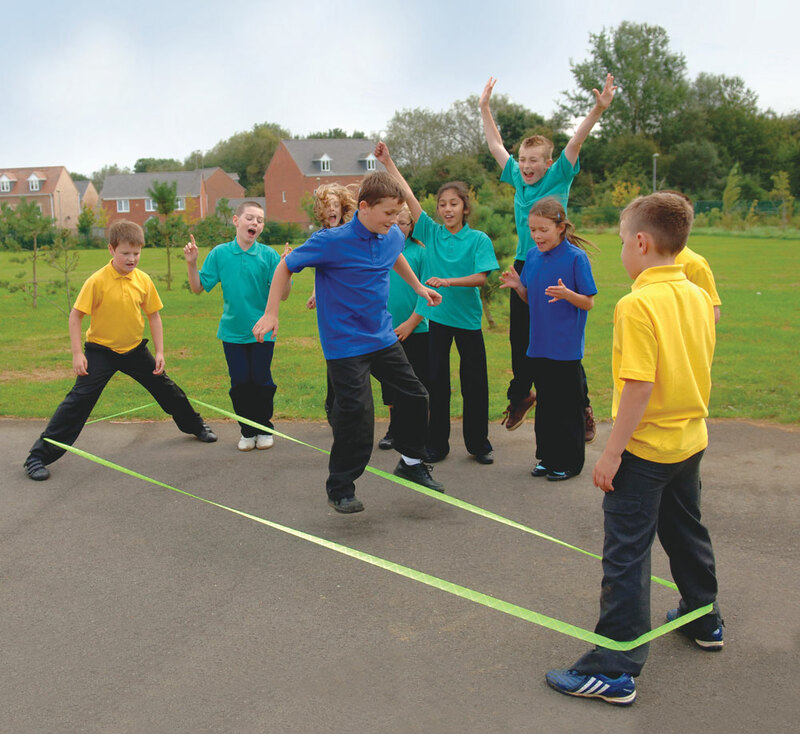 Decide on Playground Activity Zones. 3. Inform parents of plans and suggest strategies for promoting and interacting with children’s play at home. 4. Order play equipment and positive play resources. Introduce these gradually, focusing on new items and areas as they are introduced via class discussions and assemblies. 1. Continue to introduce play items. Refine and revisit. The construction of a Playtime Policy requires a whole school process which leads to a shared understanding and acceptance of all the related issues for each individual school. Policies will not work in isolation if transplanted onto a school without this consultation process. It is in the discussions and consultations that a shared understanding and agreement can be achieved. We believe that the pressures within schools today are so great that a sample template policy which can be adapted will be supportive in thinking through the process and implementing a policy. Positive playtime experiences are essential in developing student’s social skills and creating a safe, creative, learning culture throughout the school. Through play children develop and build relationships, confidence and self esteem, learn social skills, de-stress and let off steam, exercise and most of all they have fun. Play is an essential part of every child's life and is vital for the enjoyment of childhood as well as social, emotional, intellectual and physical development. 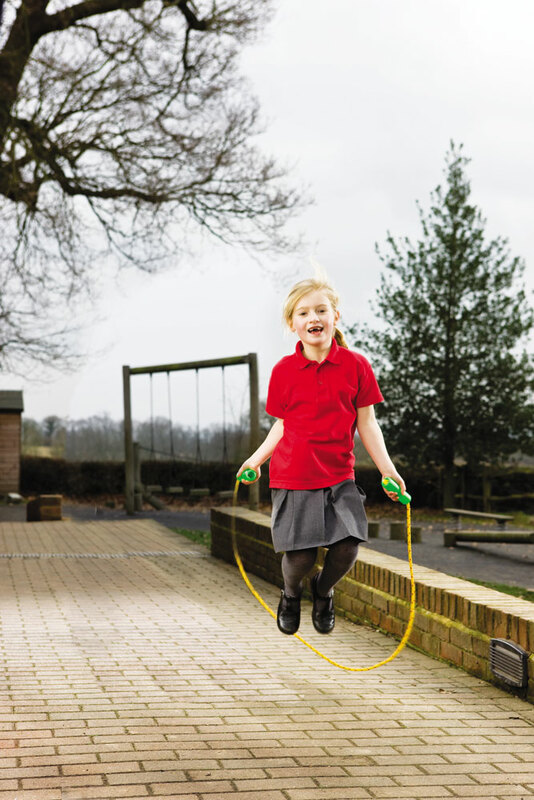 Strong new evidence tells us that play is not just a necessary part of a happy childhood but is also needed to develop skills that are important for success in life. When children are asked about what they think is important in their lives, playing and friends is usually at the top of the list. (Play England 2008). In our current environment, we note that there is a marked decrease in opportunities for children to play outdoors. The increase in traffic, parental anxiety over the fear of abduction of young children and their safety, lack of playing fields, development of technology and computer games, TV, smaller families, parents working long hours, pressure for children to be doing extracurricular activities and some schools shortening playtimes are all contributing factors. There is continuing pressure within the school to be more effective in academic areas. These changes have all had a detrimental impact in the well being and general health of children. 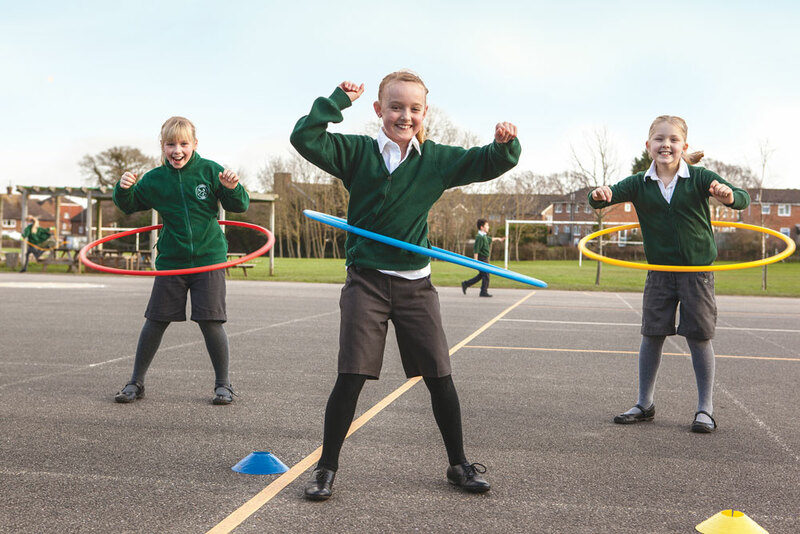 Luckily organisations such as Play England and consultations such as ‘The Fair Play consultation’ (2008 Department for Children Schools and Families (DCSF) have highlighted the value of play and that children and young people want to play outside. They also want bigger and better play areas with more exciting, varied and challenging equipment and activities available to them. Against this background our school has decided to consider the purpose and value of school playtimes and to devise a policy which recognises the value of children’s play activities. This policy has been constructed via consultations and discussions involving children, teachers, parents and lunchtime supervisors. · Be listened to and any issues or concerns that arise (conflict, arguing, fights, loneliness) are addressed. It is expected that the implementation of this whole school policy for playtimes will enhance children’s opportunities for positive and co-operative play and will provide a platform for the development of fundamental life skills. Play is essentially about learning through untaught means. It is a way in which children come to understand themselves and the world around them. Play is often satisfying to the child, creative for the child and freely chosen by the child. Play may or may not involve equipment, be boisterous and energetic or quiet and contemplative, be done with other people or on one's own, have an end product or not, be light hearted or very serious. Children arrive at school between 8.45 am and 9.00 am. During this time children generally socialise and await the commencement of the school day. More than 7.5 hours per week of opportunity for developing the skills learned through play! Infant children use the [south] playground. Junior children use the [west] playground. The field is used by all children during dry weather and classrooms are used during wet playtimes. The playtime supervisor is relieved of teaching or support duties five minutes before his/her playtime supervision. This gives an opportunity for coffee etc. before being on duty as the children come out to play. Playtime equipment is available for all children on a rotational basis. The chart showing which year groups are entitled to use the equipment at each break time or what the ‘Craze of the Week’ is on that week is displayed in the [hall] as well as on the playground wall. The areas for play with this equipment are clearly marked in both playgrounds. Playground PALS are responsible for the distribution and monitoring the return of all equipment. Year six children have been identified to observe and assist in ensuring that all children are given opportunities to engage in play. These children report weekly to the teacher responsible for playtimes. Our Playground PALS are a group of children from Year 5 or 6. All members of the playground PALS meet regularly with the teacher responsible for playtimes for training and ongoing support. The 'Playtime PAL’S wear special tabards or caps for ease of identification. Playtime PAL’S receive recognition and awards at assemblies and a certificate at the end of their time in the job. We will not tolerate bullying behaviour in our school. All bullying incidents reported to a member of staff will be taken very seriously. All lunchtime supervisors have lunchtime green praise slips, which pupils may receive for a variety of reasons, linked to our playground rules, including: Being kind, playing well with others, looking after and caring for our playground, listening, being well mannered and helpful. Staff try to help pupils sort out problems in a fair way and encourage pupils to take responsibility for their behaviour. They will listen to all parties involved and encourage pupils to problem solve and find solutions. In some circumstances staff will intervene and help both parties reach a fair and amiable agreement. Stage 1. The child will be asked which rule he/she is breaking and which he/she needs to keep. They will then be given a verbal warning. Stage 2. The pupils name will then be written on a red playground behaviour slip, outlining the rule they have broken. Stage 3. The slip will be given to a class teacher at the end of play and put in the ‘I am unhappy with you’ box. Stage 4. The Head Teacher will speak with the pupil if two or more notes are received in one week and targets for improvement will be set. Stage 5. A letter will be sent home and possible lunchtime exclusion will occur. This policy has been constructed under the leadership of the teacher responsible for playtimes. It involved an audit of current play practice, in-service training sessions involving all teaching, ancillary and lunchtime supervisory staff and consultations with both children and parents. Ongoing sessions ensure a continued focus. Observation and discussion form the basis of the monitoring process. The Playtime PAL’s have a monthly meeting with the lunchtime supervisors and the teacher responsible for playtimes in order to discuss their thoughts and observations. Certain 'Playtime PALS' have the responsibility of tracking individuals in order to analyse their play activities and report back to the meeting. This sample template playtime policy has been produced by Thérèse Hoyle on behalf of Edventure Limited. 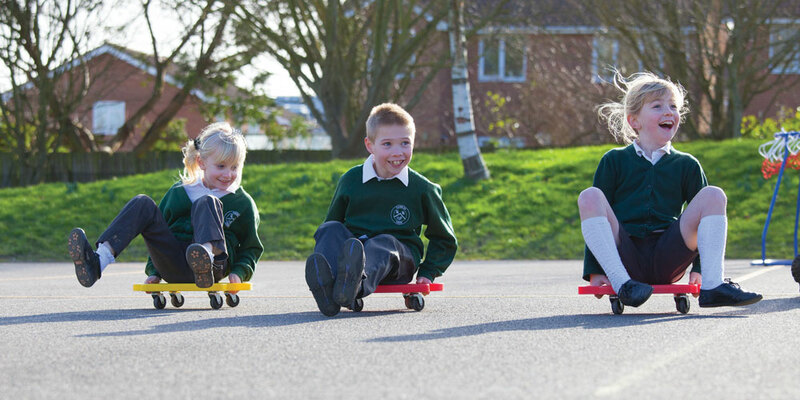 Edventure specialise in the design and supply of Playtime Games. Edventure, Bishop House, East Burnham Park, Crown Lane, Farnham Royal, Slough, Berkshire, SL2 3SF.